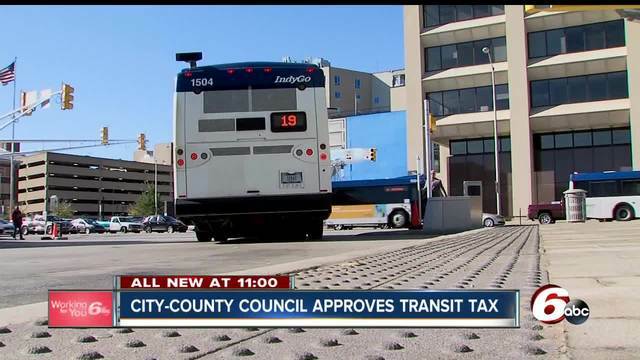 INDIANAPOLIS -- The Indianapolis City-County Council approved an income tax increase on Monday that will pay for a mass transit expansion in the city. The .25 percent income tax hike will go into effect in the fall of 2017. Under the plan, a person living in Marion County who makes $40,000 will pay about $100 more per year in taxes. The board approved the tax increase with a vote of 17-8. The tax will allow the city to expand IngyGo bus services, including new bus rapid transit lines. 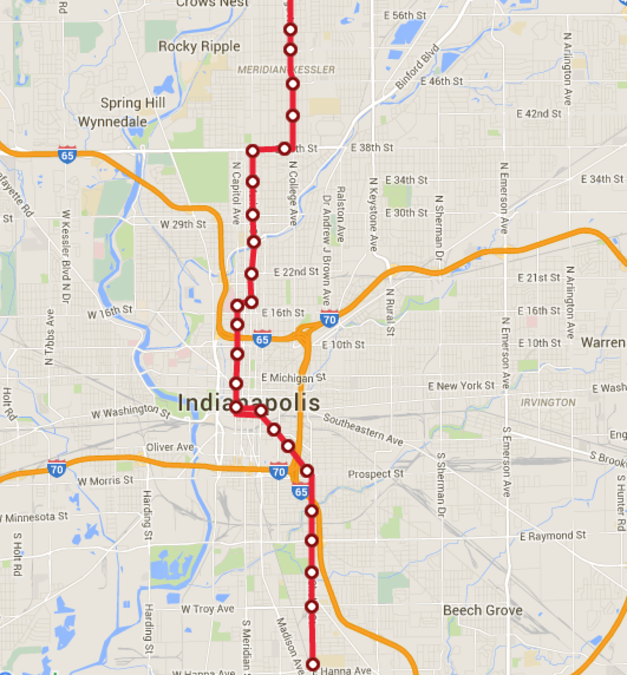 The line would run down College Avenue from Broad Ripple, through the Downtown Transit Center, down to the University of Indianapolis on Indy's south side. The Red Line construction could start as early as this summer. The tax will also allow the IndyGo bus lines to run more often, have fewer stops and be given their own center lane.